Do you enjoy solitude while you are on a holiday trip? 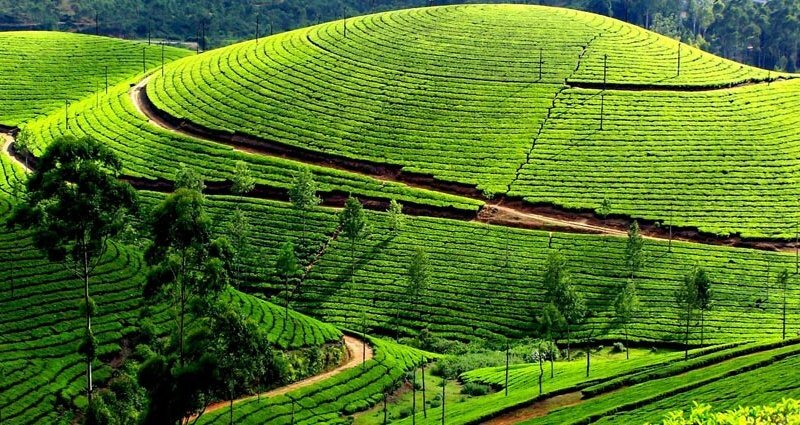 If so, then a tea plantation holiday trip in India will be ideal for you. Here you can enjoy nature, lush green tea gardens, beautiful mountain ranges and of course, solitude to enjoy. Here are glimpse of 10 such locations that you can add to your list. Glenburn Tea estate is a 1600 acres plantation which is only one hour’s drive from Darjeeling. 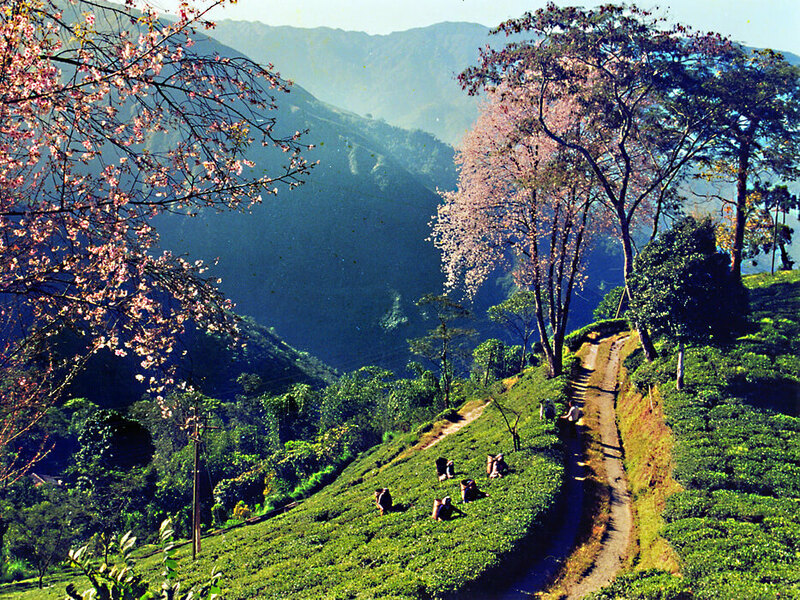 The tea estate offers remarkable sights of lush green tea garden slopes on one side and on the other side you can view majestic Kanchenjunga Mountain. Other than the scenic beauty you can enjoy hiking, fishing and many such activities here. Glenburn Tea Estate has a boutique hotel that has 8 well maintained suits equipped with Victorian Teak wood furniture. You can have breath-taking views of Himalayan Mountains from here. Online booking facility is available here. This tea estate is situated at upper Assam in the state of Dibrugarh. The tea plantation is only a few kilometres away from the main city. Away from the hassle and bustle of regular city life you can enjoy calmness, beauty of nature, chattering of birds and fresh green tea gardens that spreads for miles. The Tea Estate has their own accommodation which is called Mancotta Heritage Chang Bungalow. It is actually a British colonial Bungalow built 150 years ago by the British Tea Planters. Check online here. This century old tea plantation is one of the major tourist attractions of Munnar. Other than the scenic beauty and the beautiful tea garden, the plantation is famous for the country’s first ever tea museum. The main objective of this museum is to depict the growth of this very old tea plantation. The tea estate has plantation bungalows that have all modern amenities. You can check online here. It is one of the largest tea estate in kangra valley. 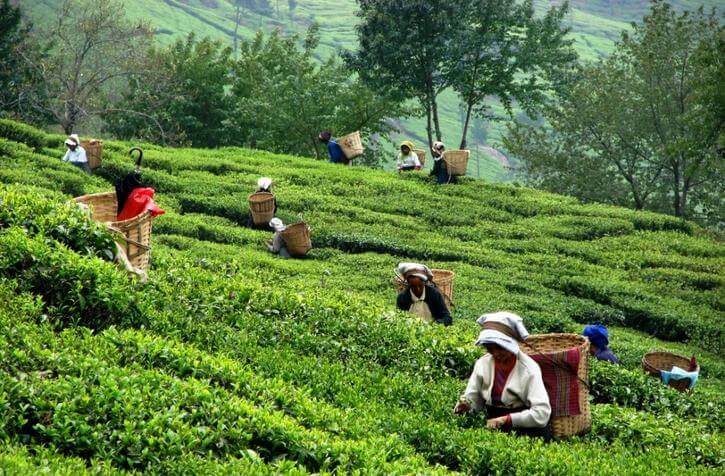 The tea plantation is 7 km away from Palampur and is a must see sopt of Himachal Pradesh. 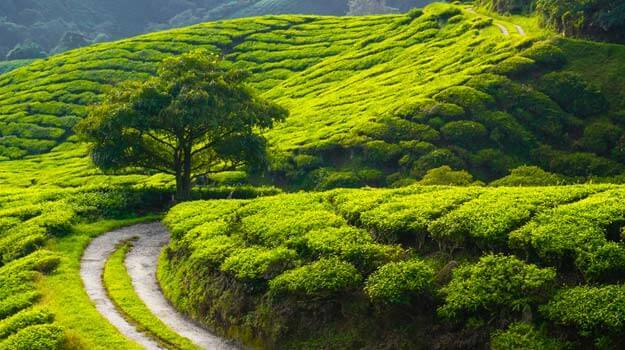 The tea estate is famous for its beautiful tea garden, rolling hills and misty environment. Truly, a visitors’ paradise. 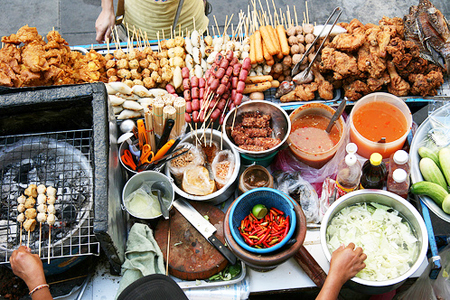 There are plenty of well-maintained and fully equipped hotels and resorts available here. 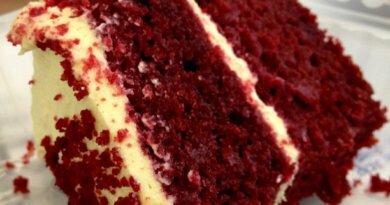 You can check some options here. This is a beautiful place on the laps of Nilgiri hills and is a must-stop destination for any tea lover. 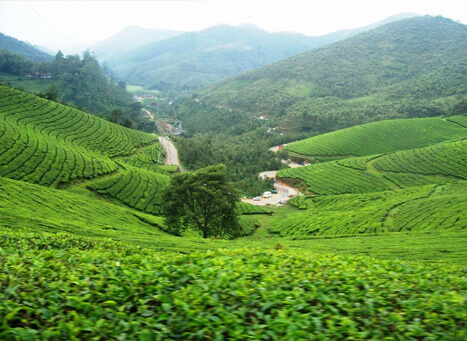 The tea plantation is famous for the rich aromatic tea of Tamil Nadu, in fact, some of the finest tea of India is produced here. Here you can explore the Highfield Tea Factory and Tranquilitea Tea Lounge. Plantation tours are possible here. You can stay here in the nature resorts and cottages which are surrounded by beautiful nature. Some option available here.